I used math rotations for years. After my first couple months of apprehensive experimentation, it became the most anticipated time of our day. Each year I managed rotations a little differently, based on the needs and personality of the class, but the general format remained intact. 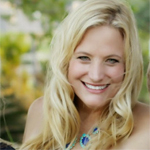 This management system is so simple, I cannot wait to share it with you! 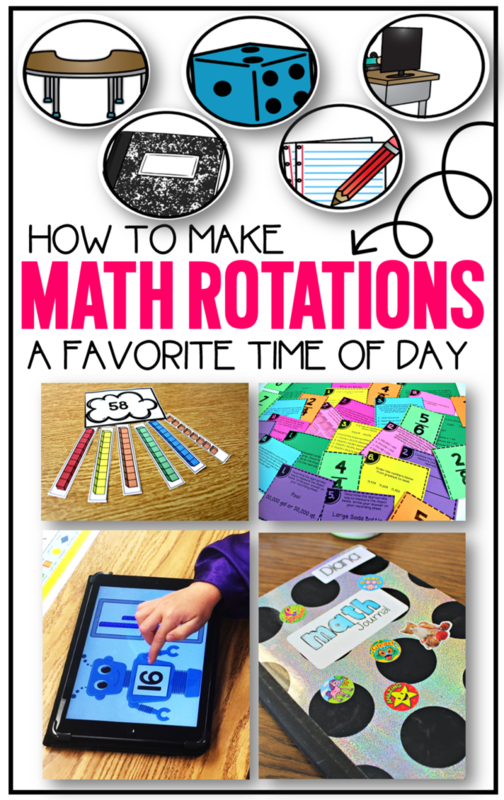 Let’s make math rotations a favorite time of day! 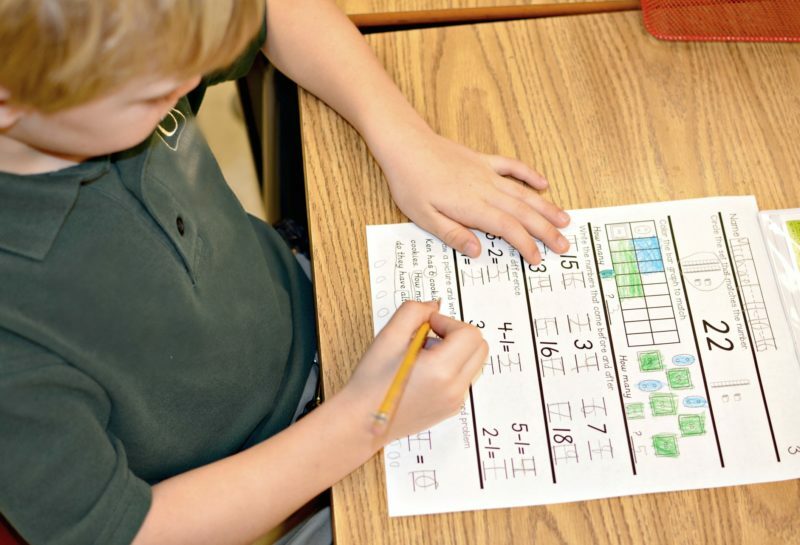 There’s truly no “right” way to manage math rotations. I like to share what works for me, but I am one person! 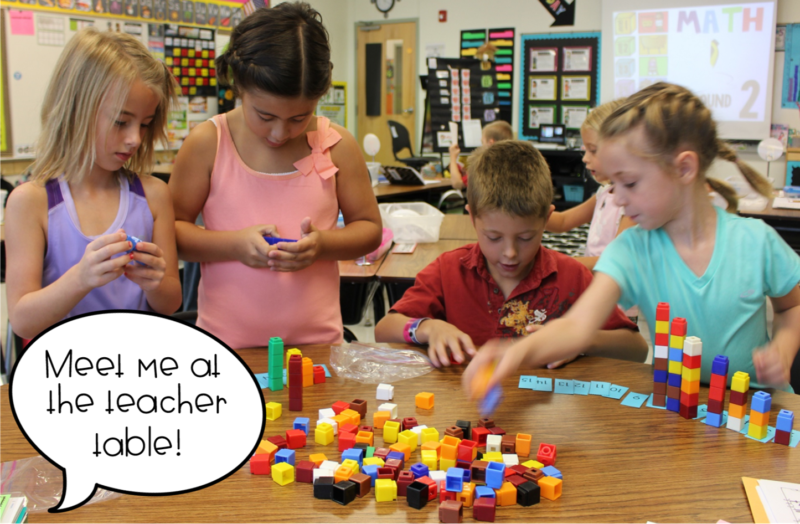 You are the expert in your classroom! 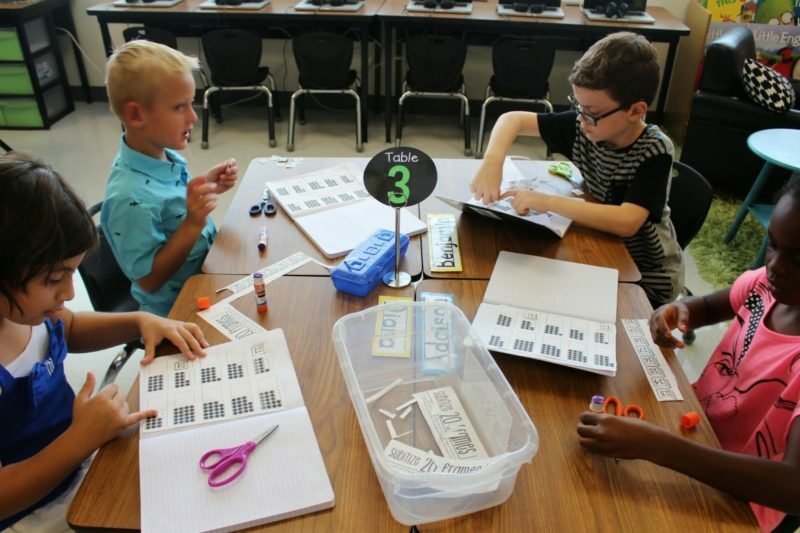 Math rotations are and should be, tailored to a teacher’s specific class needs. 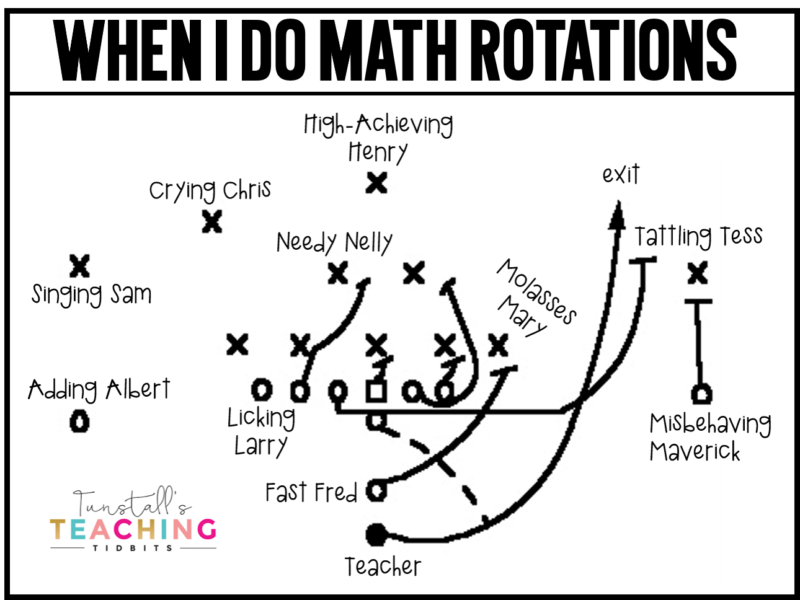 However, sometimes I have seen teachers so bogged down in rotation “strategy”, that their system rivals that of a football playbook. We’ve all been here, right? We can simplify the management of math rotations with 2 little things: The first is consistency. 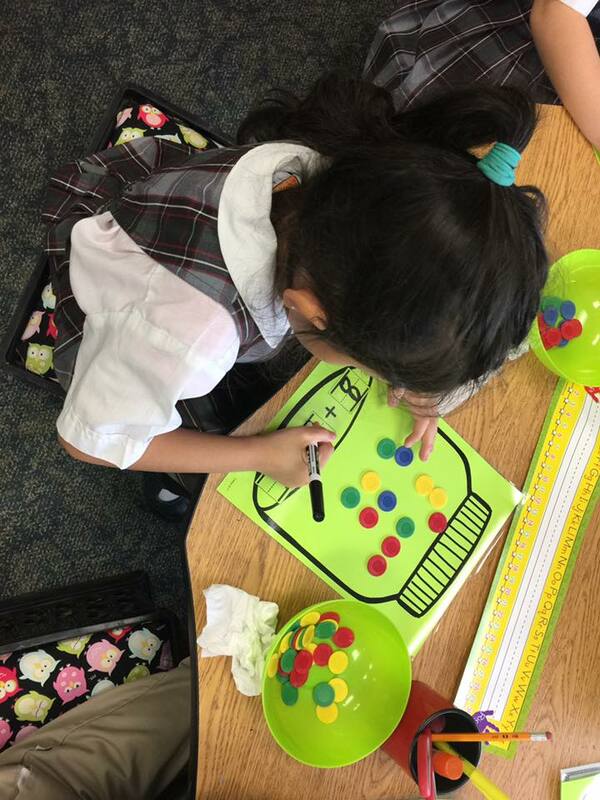 If you observe any teacher in the school, chances are if math rotations are going well, students have a consistent routine. Choosing a rotation management system and sticking to it is key. Remember, it may take a couple days weeks to get comfortable. 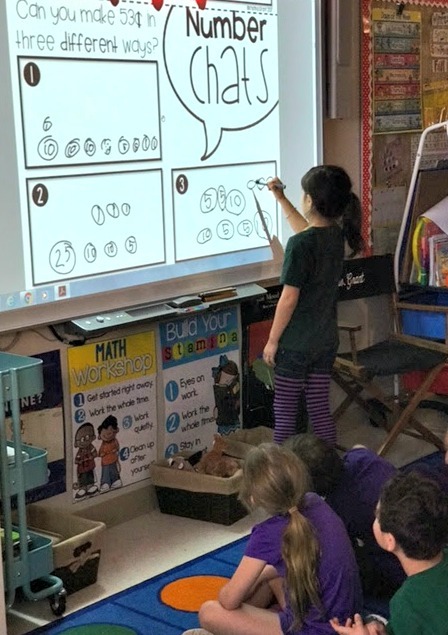 When I introduce rotations with teachers during workshops, the first few seconds of each rotation is a little confusing and there are questions. This is normal. After we have a couple of rotations under our belts, we are transitioning like a confident Beyonce with the wind blowing our hair. Once your routine is established, the content becomes the focus. 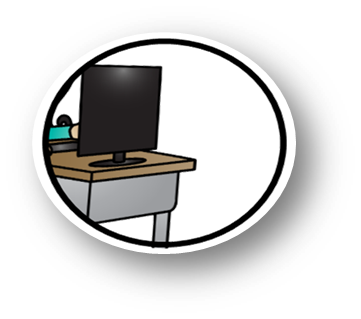 Adjusting the time increment of your rotations, the number of rounds, and which choices students have, creates the backbone of your system. 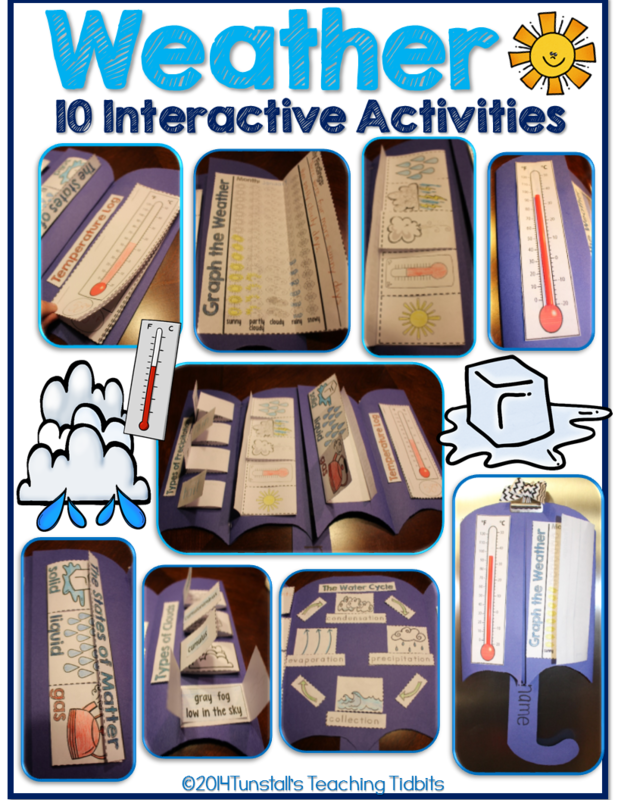 I was determined to make this easy, so I created an editable management system for math rotations! 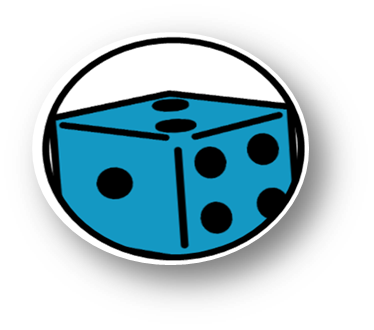 Simply drag and drop your choices into the group circles, choose your time increment, and number of rounds. Then click play! 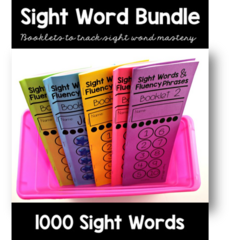 Students that struggle with transitions, those that need a visual cue, or have time management difficulty, can all benefit from this system! Personally, all three describe me, the teacher, some days! 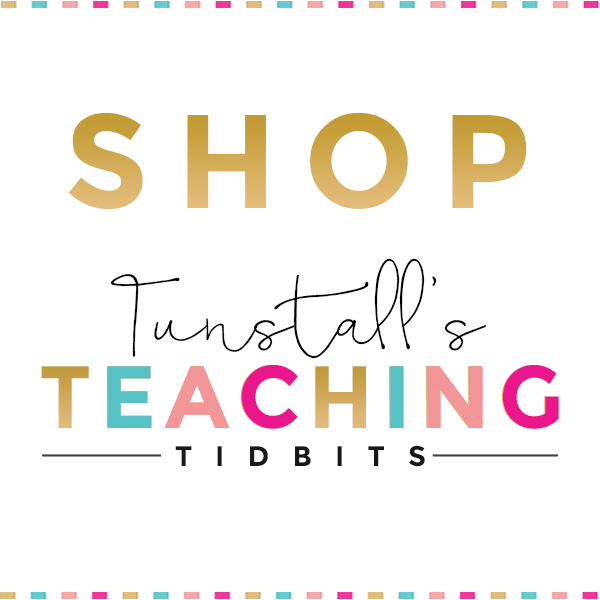 I need it as much as the students do! 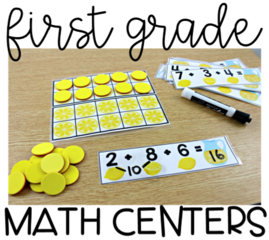 Find the editable guided math rotation board HERE. It includes a wall version too if tech stuff isn’t your friend. To recap, step one, consistency of format. Whether or not you use my rotation system or a different one, is not important. 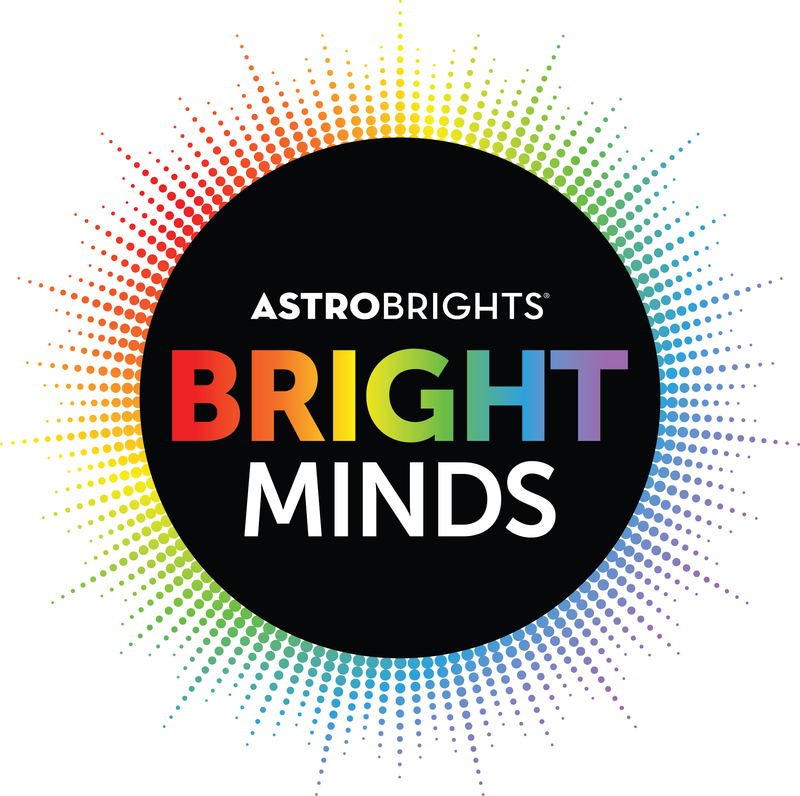 Find a system that fits your personality and teaching style! Let’s talk about time increments and number of rotations. When choosing the time spent at each rotation, you have to watch your class. Just because you would love your rotations to last 15 minutes, doesn’t mean that it is right for this class here in front of you this year. 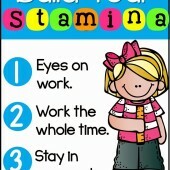 Base the time off of the natural stamina of the students. If day after day, students are restless after 15 minutes of independence, then it is time to tighten your pacing. Cut down your minutes to see the increased urgency and better quality of work. Generally speaking the younger the students, the shorter the rotations. This generality depends on a lot of factors so don’t stress if you have long rotations and young students. Don’t fix what isn’t broken! It was this particular class that made me go back to the books and do more research. (While eating and drinking terrible things #stress-eater) It was either change it or give it up. I knew how amazing it could be so I was determined to come up with a solution to the madness. 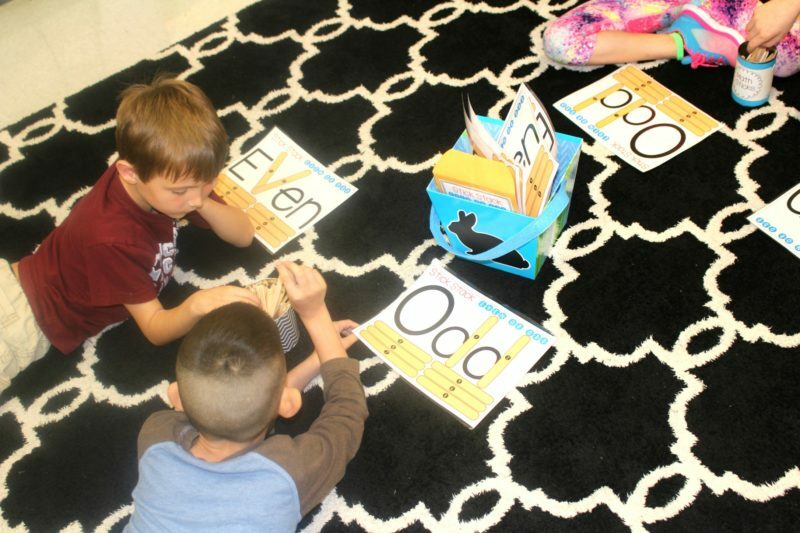 Rather than having groups all over the room simultaneously in math games, it was time to designate different types of activities for these groups to do. This was going to help reduce the amount of noise and chaos going on in our room. 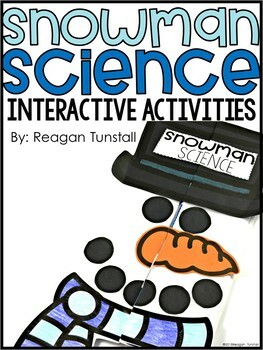 I came up with 5 activities for my students to do. I came up with an ACRONYM for these choices because that’s what teachers do. 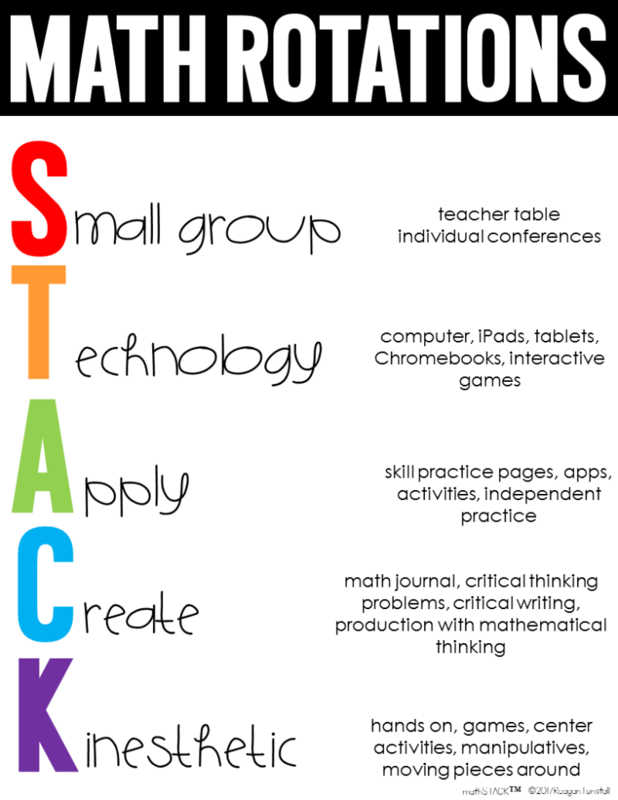 The acronym STACK was a way for me to vary the types of resources I was using. 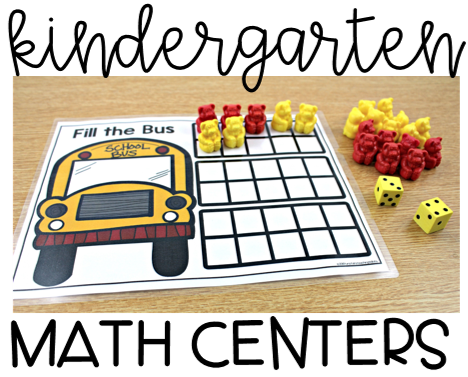 This brought the noise and chaos to a minimum and allowed me to help develop more well-rounded math experiences for my students. 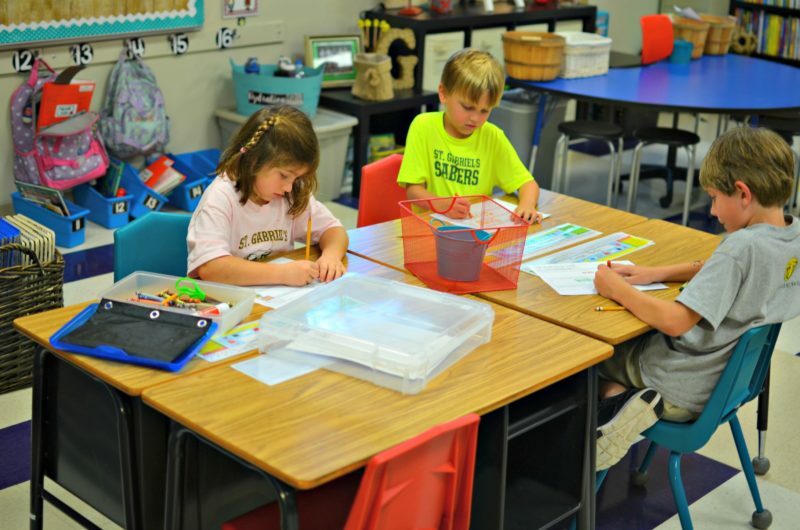 Whether you need 3, 4, or 5 rotations, you can reduce the amount of noise and chaos by choosing activities from different modalities of learning. 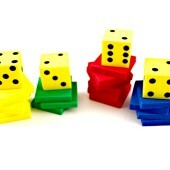 Here’s a visual example of the different choices I may choose for a math block. 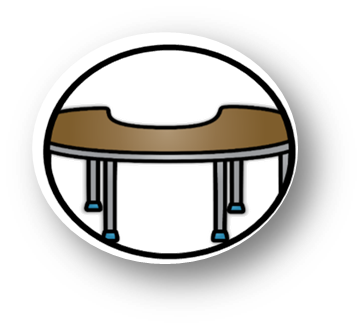 I am going to skip the small group table rotation for this post. 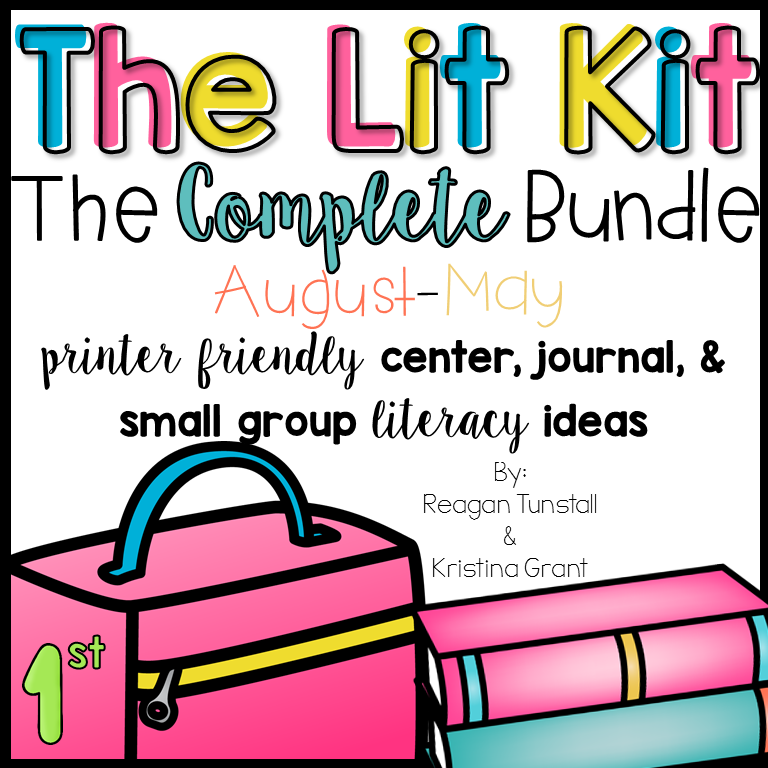 You can check out a post all about small group HERE. 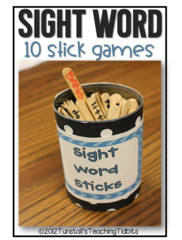 In a recent post, I shared games for each math strand that can be played on any device. 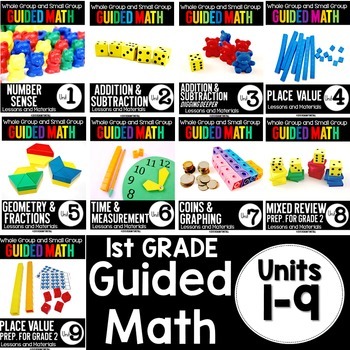 Although there are some fantastic sites to reinforce learning through technology, I wanted some tried and true games that directly correlated to the standards I was teaching in my guided math lessons. 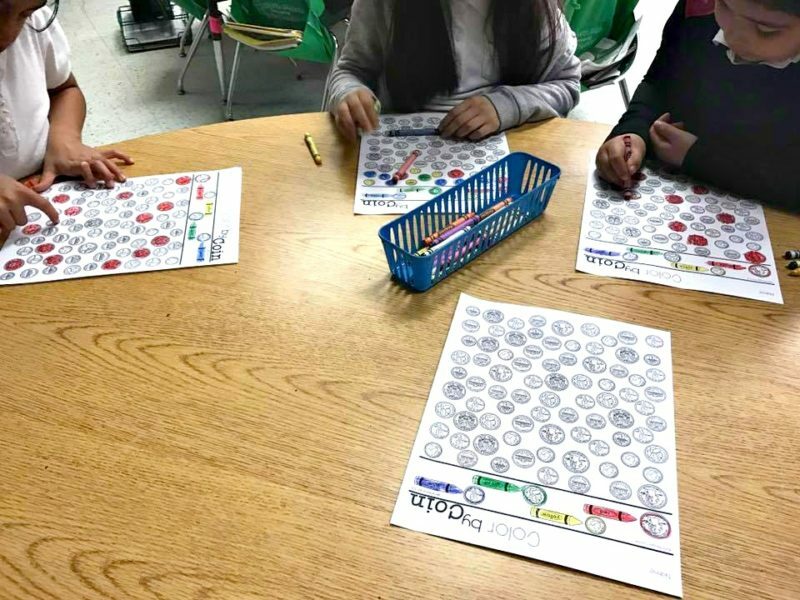 I created 5 games for each math strand for the year! 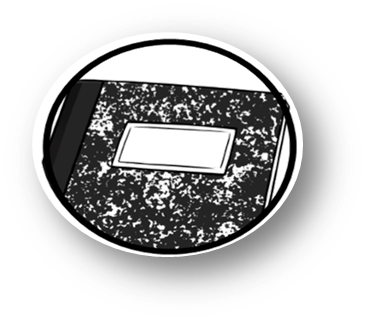 To check out the post on these games, you can read HERE. 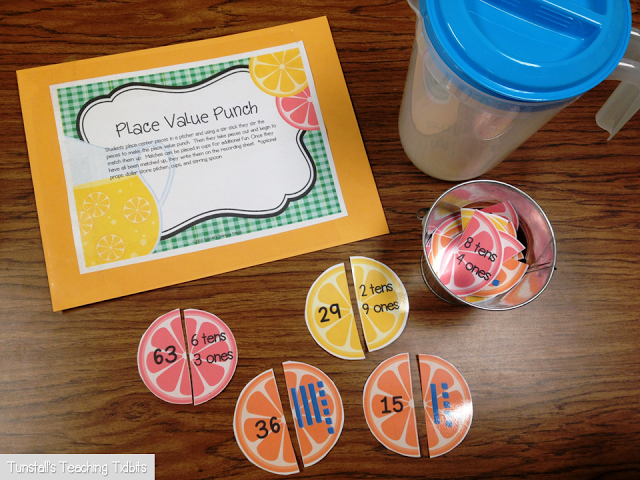 Below you can see two games on place value. 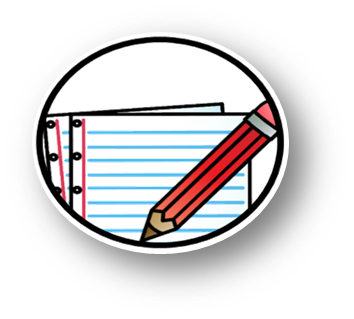 The application station is a way for the teacher to get in a grade or an independent practice activity during a rotation. Typically, you’ll find some independent practice happening here. 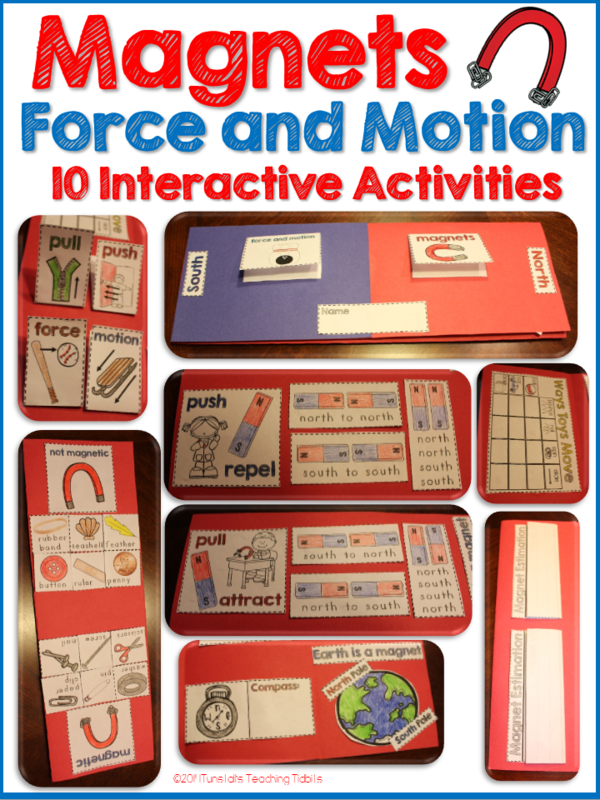 For this rotation, I created skills practice pages for each math strand. 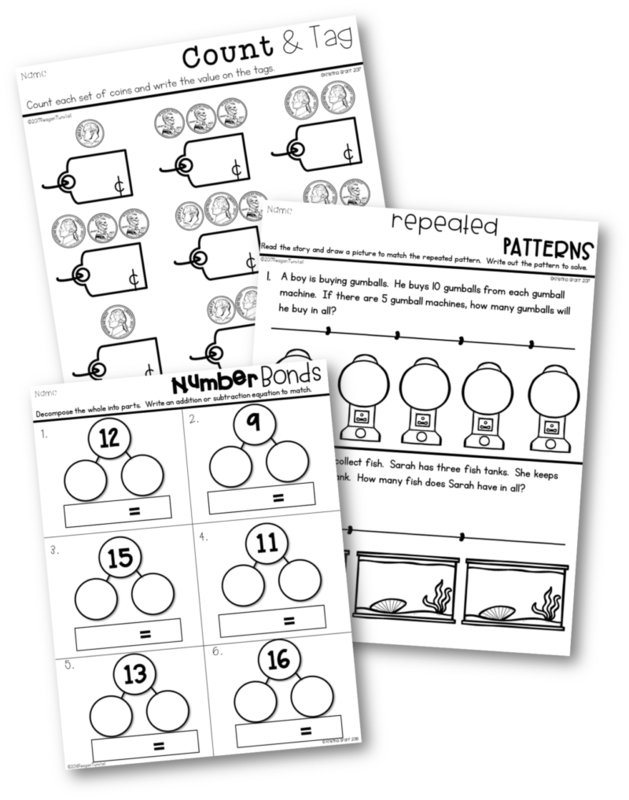 If you are looking for math skills printables, I have individual sets of 20 skills practice pages for each math strand or a bundle for the year! Below, this student is completing a daily math page that spiral reviews skills every day for the year. These can be found HERE. 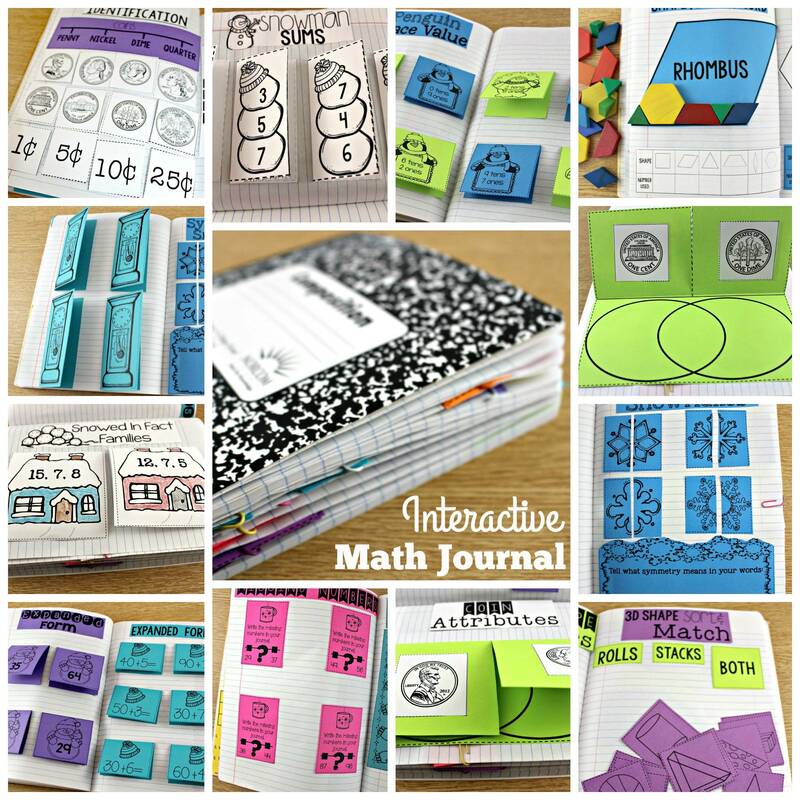 The create station is a math journal station! 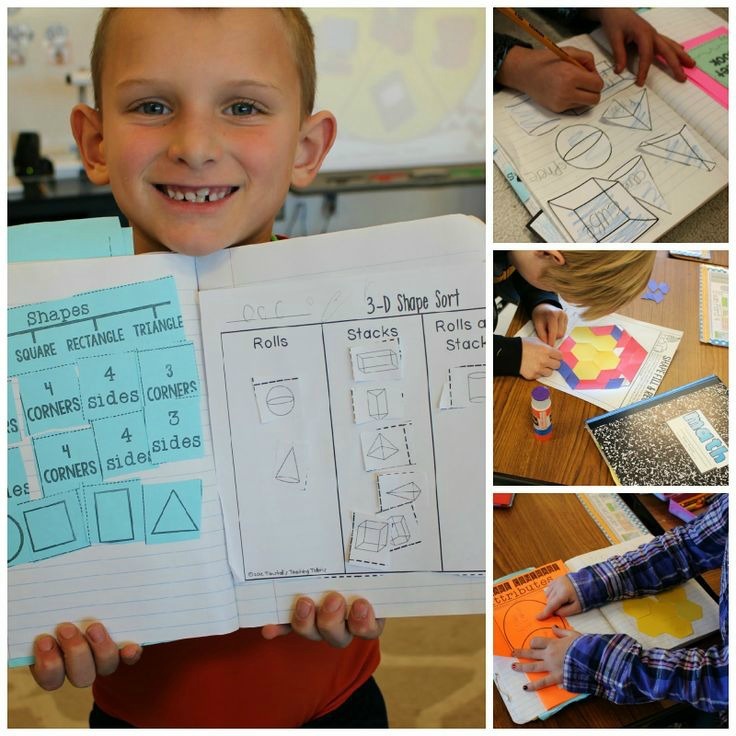 Each student’s journal is a window into their thinking and skills! 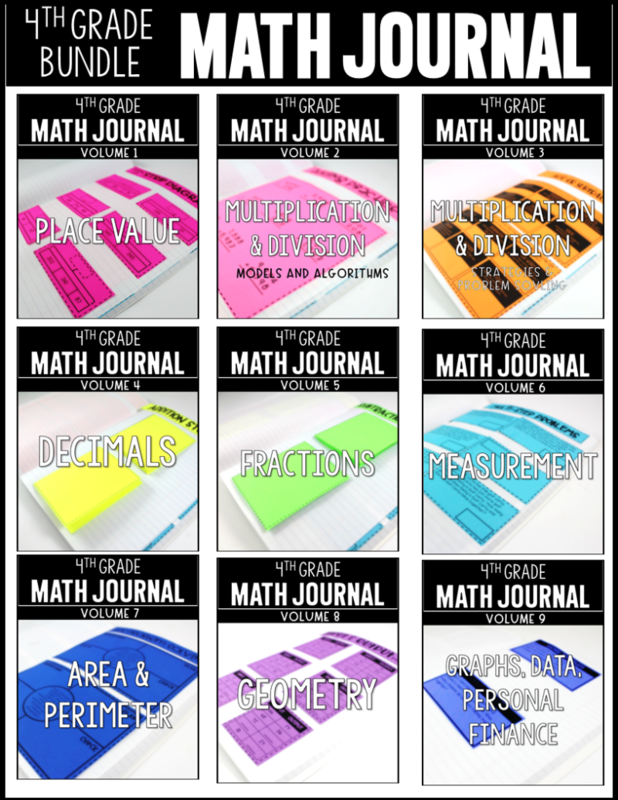 Math journals do not have to be repetitive or lack-luster! I love to vary the activities of students in their journals. 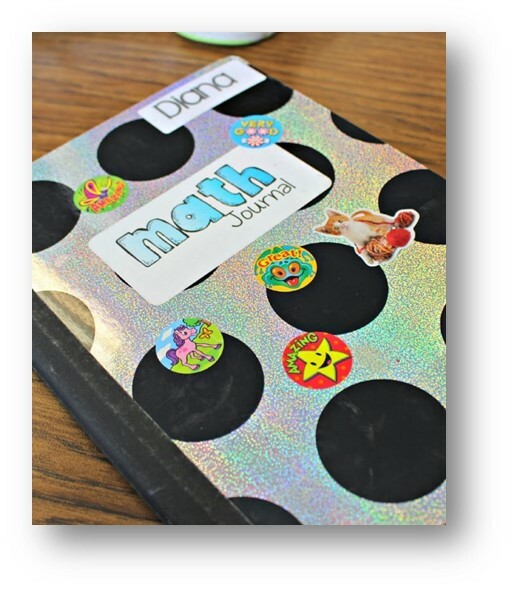 Students from kindergarten up can benefit from a math journal. 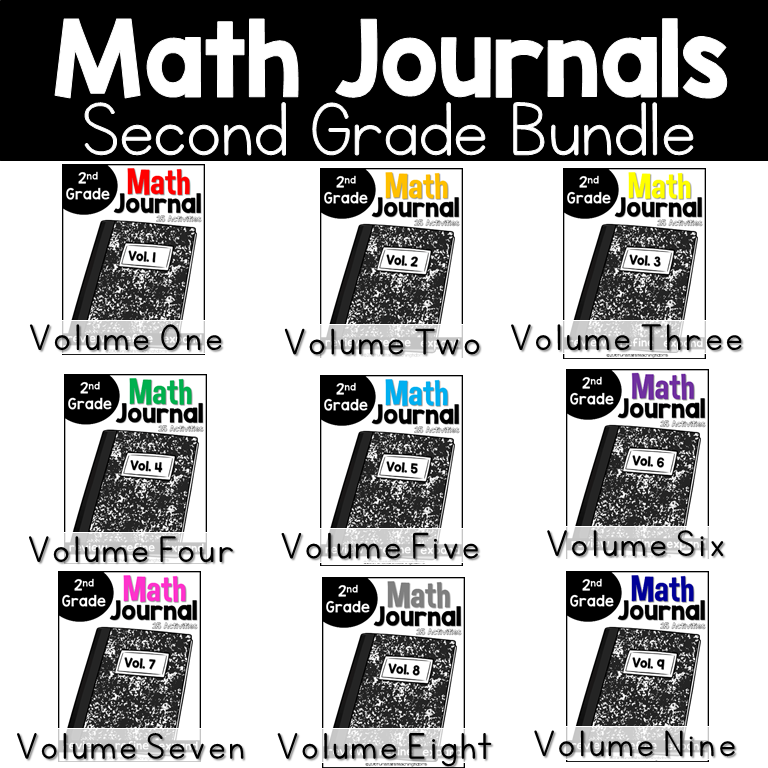 I have many blog posts on math journals, and many math journal resources K-3 too! 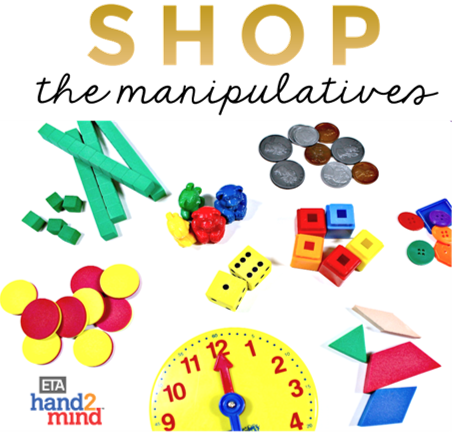 The kinesthetic rotation is a hands-on math center! 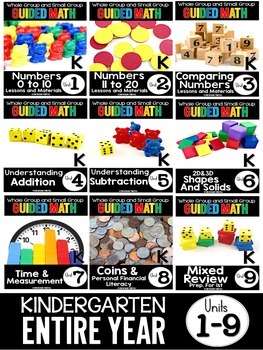 This is what most teachers typically think of when you say math center. 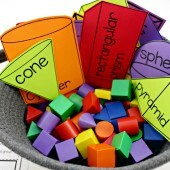 It’s a way for students to use concrete objects and interact with materials to further understand math concepts. 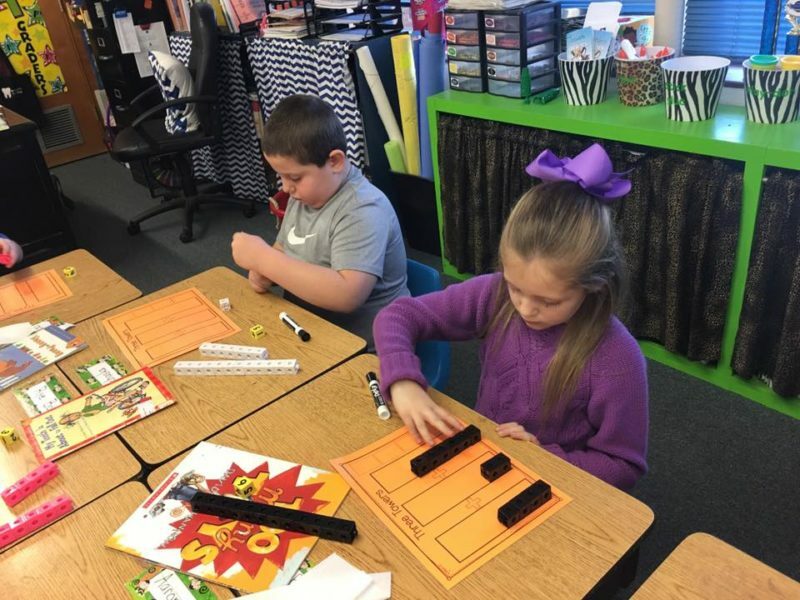 Below, I have pictures of some of my math centers in action from teacher friends in our facebook group! So there you have it! The rotations secret is out! 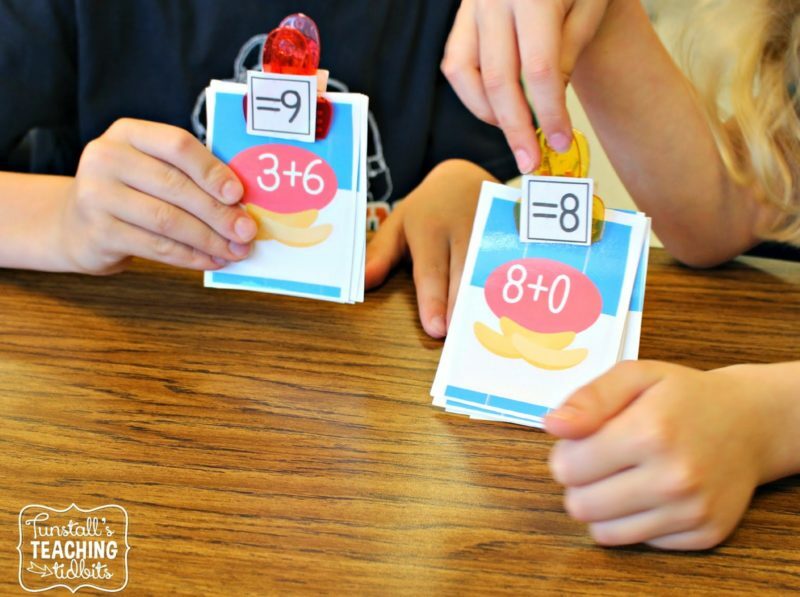 You can start math rotations any time of the school year! Break up your routine and try something new or just tweak what you already have going on! I always hope to share a little something that can make your school life a bit easier. I hope some of my favorite practices can help! 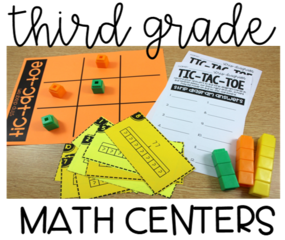 Some of the most valuable math minutes happen and the start and close of the math block. 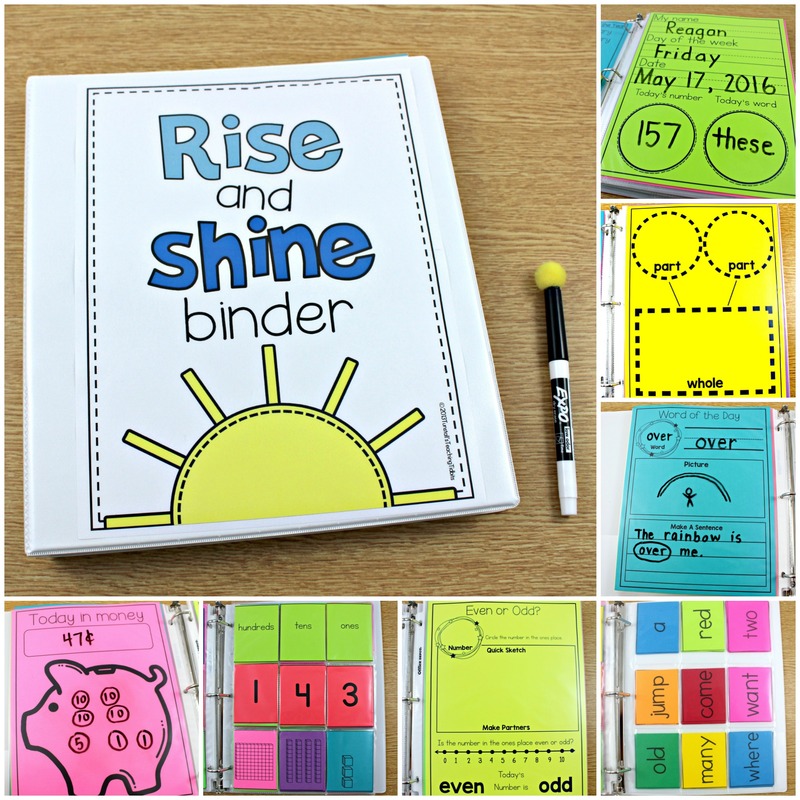 Therefore, I want to be sure to share some helpful resources to kick off and end your daily math sessions! 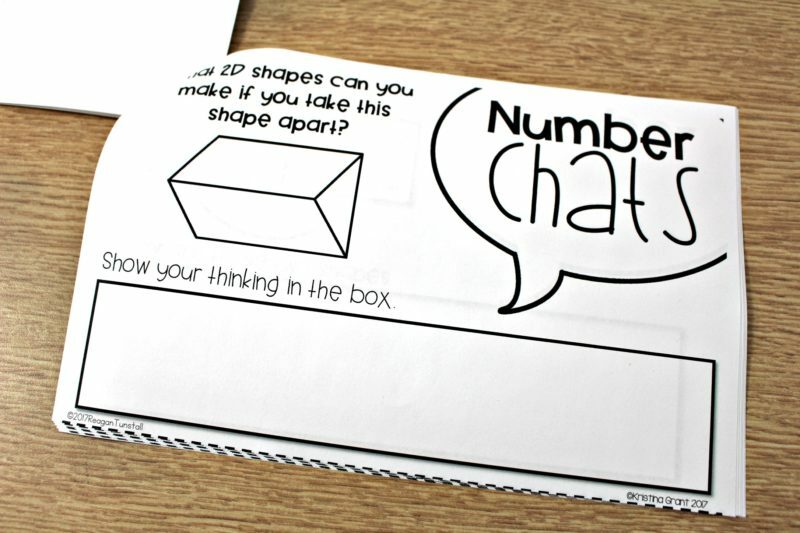 A number chat is a great way to kick off your math block! 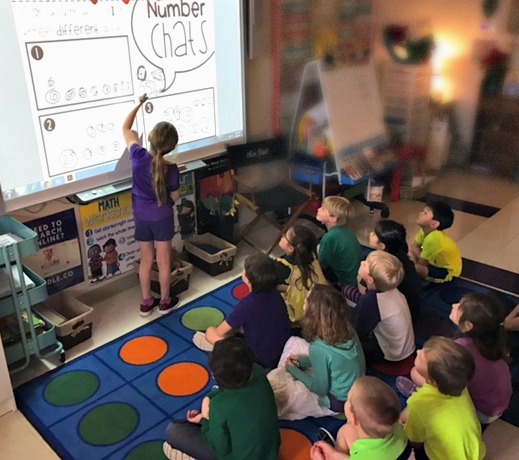 The goal of a number chat is to prompt students to share strategies and mathematical thinking. 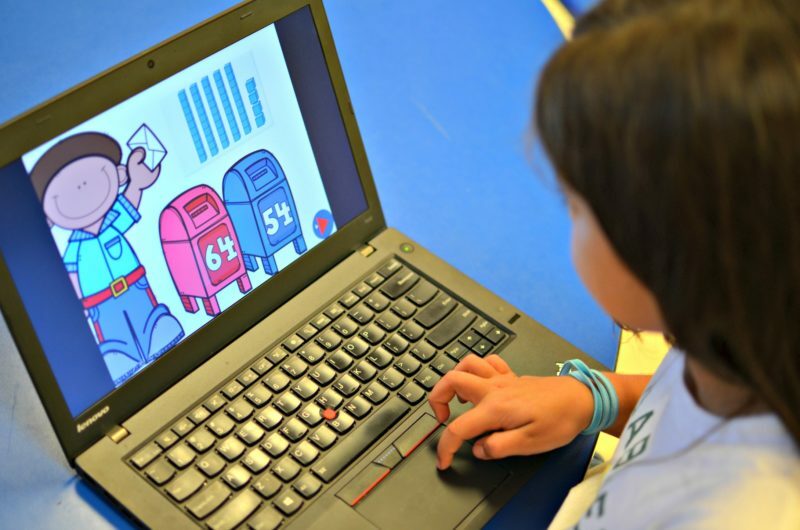 Instead of focusing on answers, let students focus on conceptualizing. 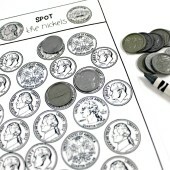 Project and ponder or print the half-sheet booklets! 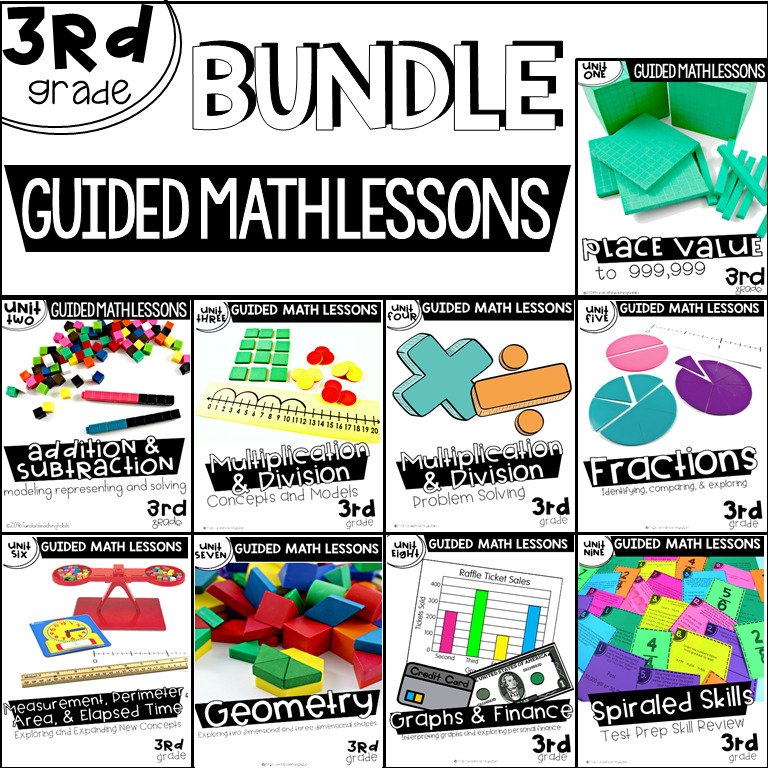 My Bundle of math chats for the year covers every math strand for a discount! 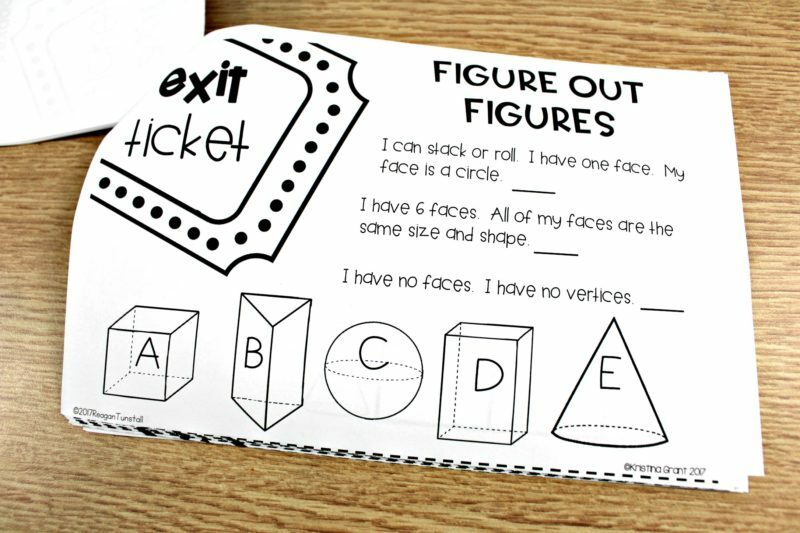 These exit tickets act as a quick check or a math reflection to wrap-up your learning! 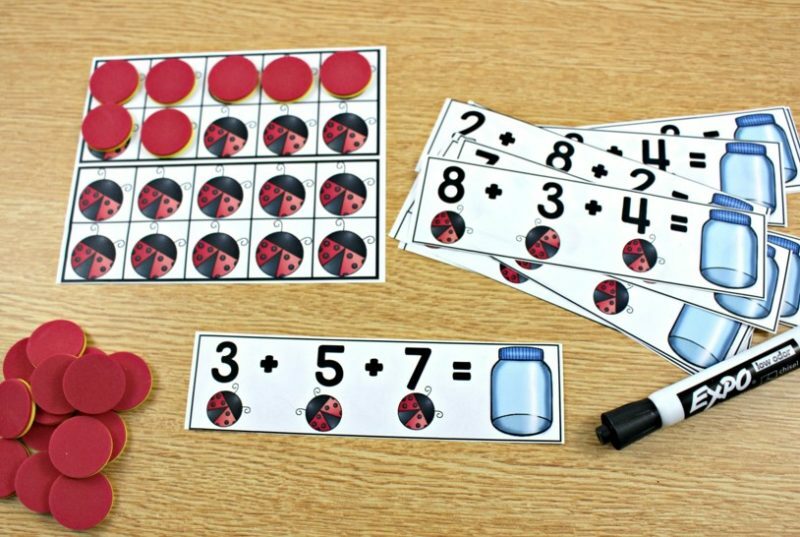 Like the number chats, you can project them or create a quick little half sheet for short assessments of learning. 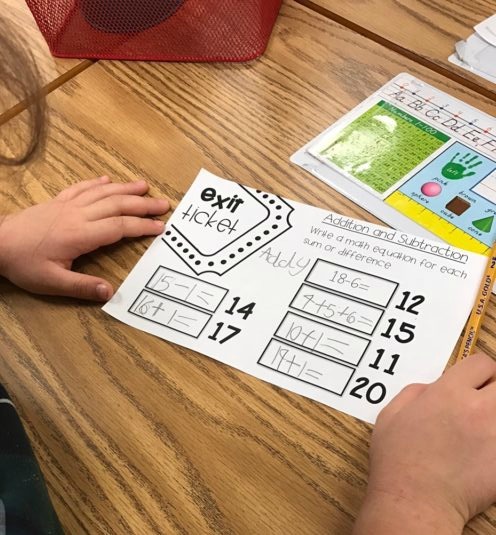 There are 20 exit tickets for each math strand. 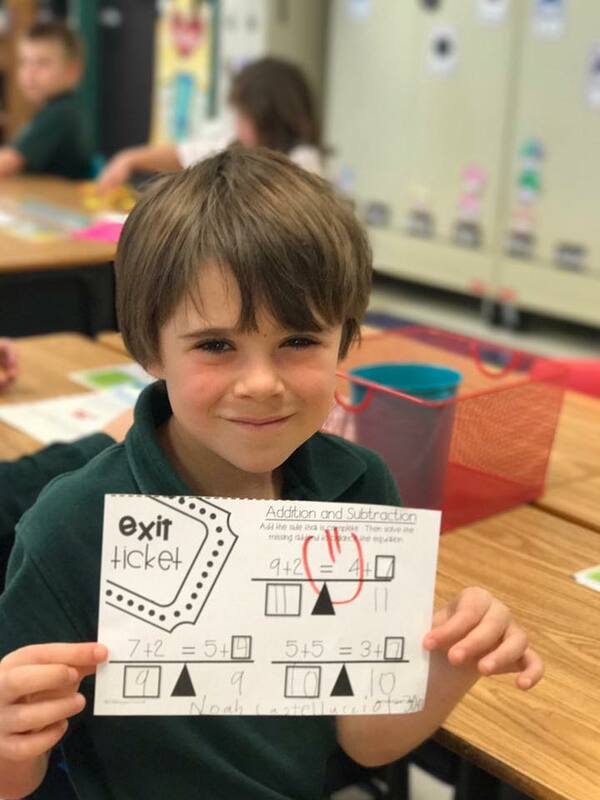 Here’s a new video I added this week to help explain the number chats and exit tickets a little better! 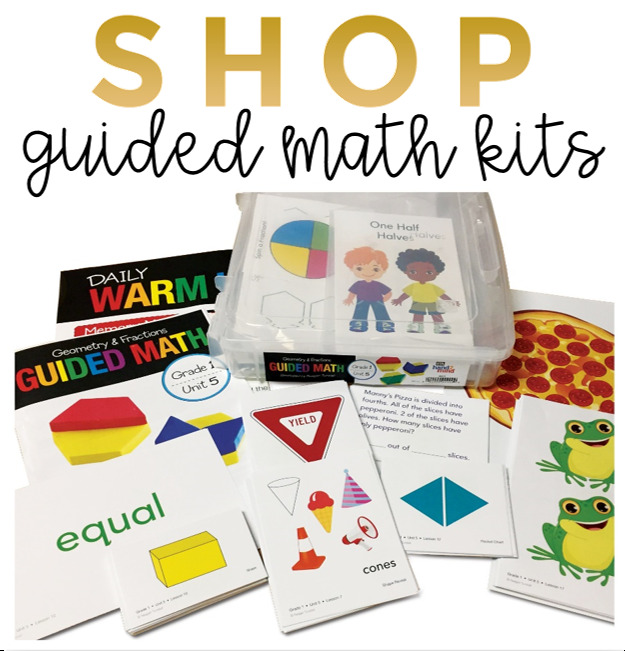 If you already have the guided math series, the supplements series will give you more printable practice to reinforce the concepts! Have a terrific week! 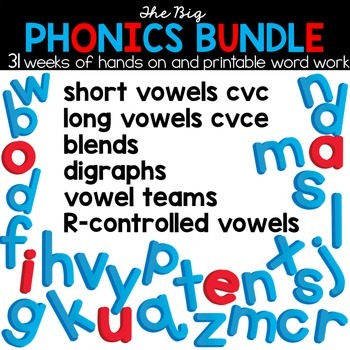 Try out a new technique or resource and let me know how it goes in the comments below or in our facebook group! I love all of your information! 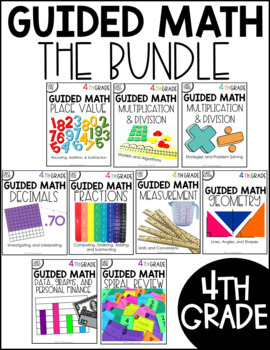 My school does not do guided math and I am trying it for the first time as I see the benefit for my students. 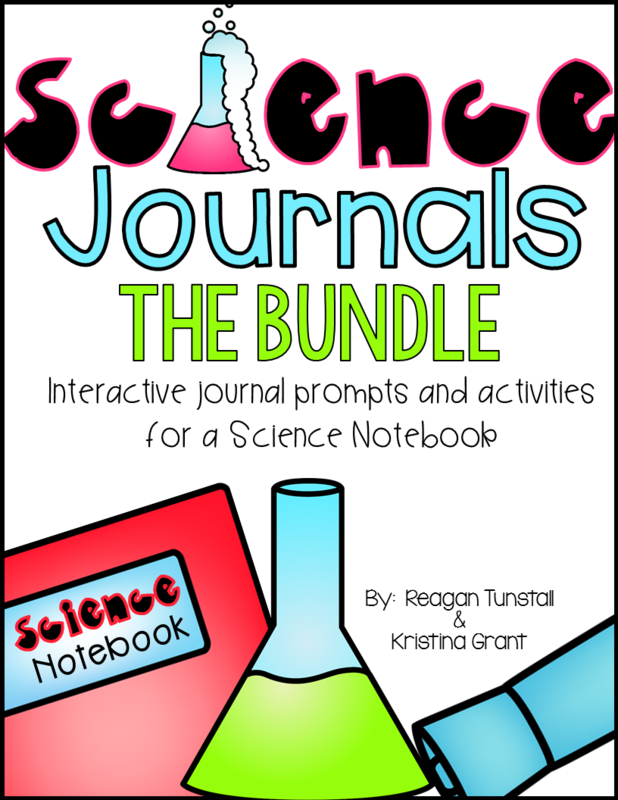 I have one question, in looking at your bundles that are specific to each month, I noticed that there are only ten of each of the journal pages and the independent practice pages per month. Do you not do guided math everyday? If so, do you have other journal pages or practice pages that you supplement in? So what is the structure of your entire math block? I have about 45 minutes total to teach math. 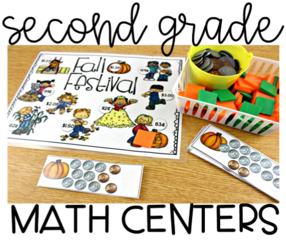 I typically do a calendar activity that focuses on a multitude of skills – review and “pre-teach” (similar to math talk), then I have a 5-7 minute whole group discussion about what we will be learning through our math game & then the kids play their math game while I’m coaching/monitoring. 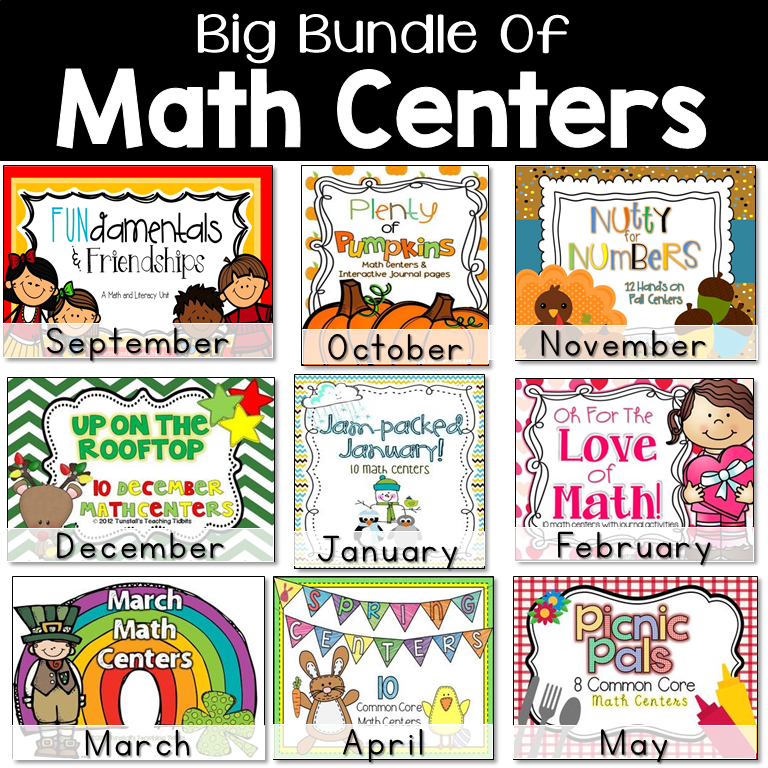 I’m not quite sure how I’d fit in the math centers although I like them a lot. 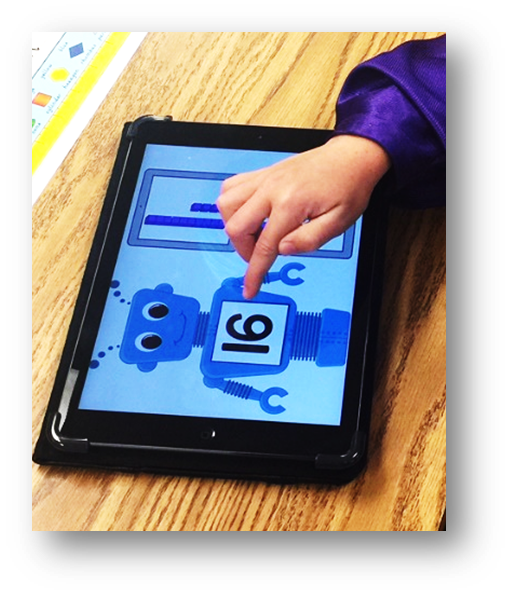 Teach the Florida standards using Go Math as a resource rather than doing it page by page. 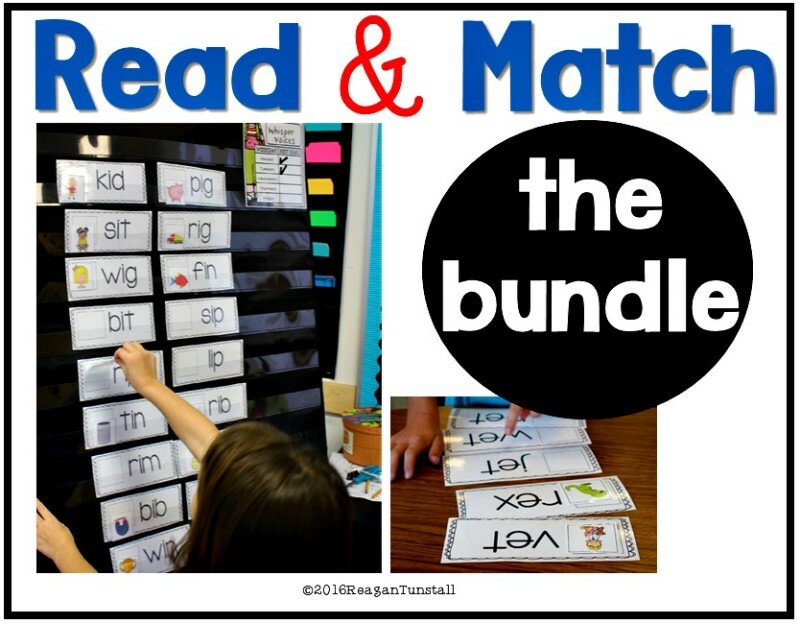 Use the centers to practice and enrich or remediate the lesson. I too teach in Florida and my district uses GoMath. I stopped teaching the book page by page about 3 years ago. It was hard to let go but I found that my students were more engaged and I felt that I had more freedom to teach this way. Give it a try. I’m looking at using some of Reagan’s centers for this coming year. I teach a 1-2 split. Hope this helps. 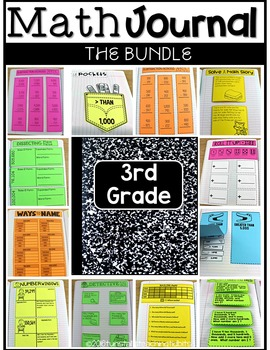 I love your guided math ideas, products, and structure ! 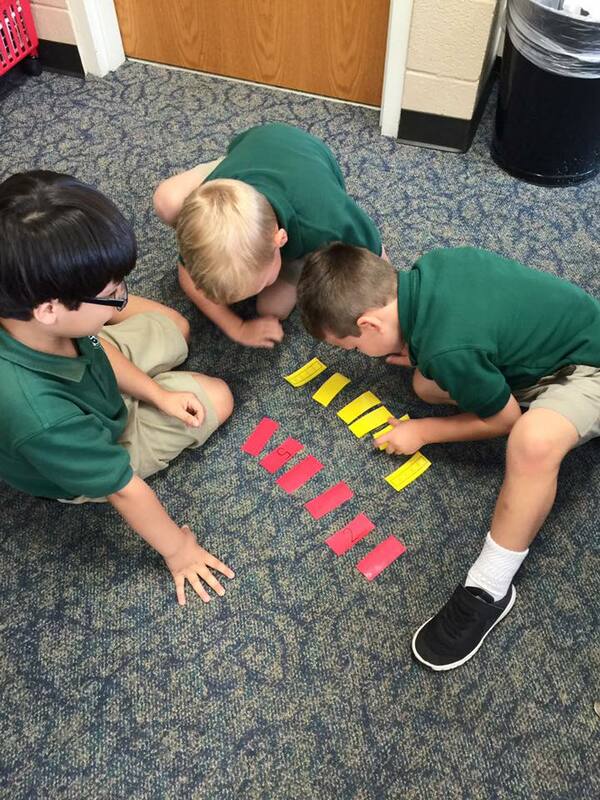 Do you have a typical time plan or structure for your entire math time period? We use Go Math and are required to post our time breakdown/schedule for math (other subjects, too). 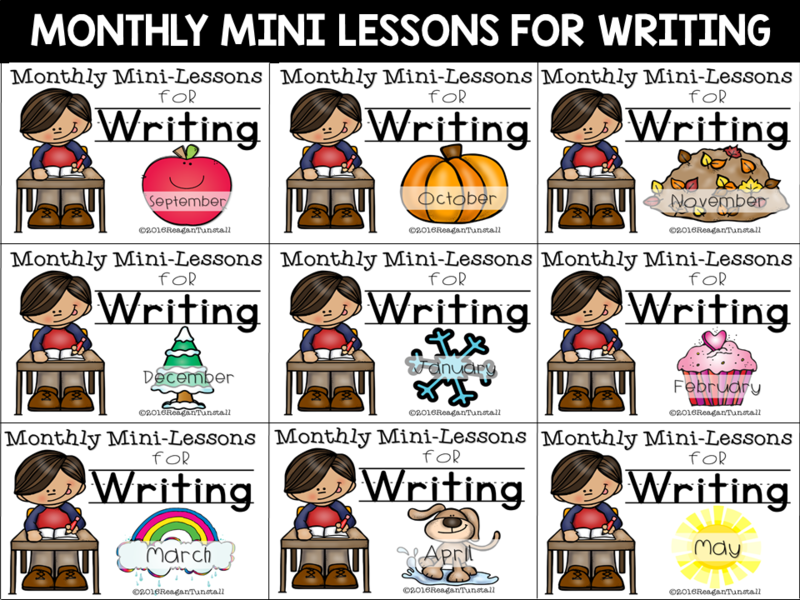 I’m just trying to get a picture in my mind of how math time would flow with Go Math – and establish a specific daily math time plan/schedule to put into writing. Also, do you have an editable math spine labels product you sell? I really want to use them, but our chapters and units are numbered differently; some with different titles. 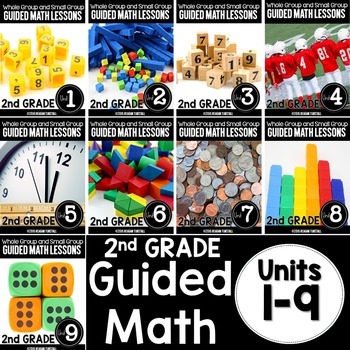 Yes I have a guided math series that I posted last summer. It is a three post series explaining the process. 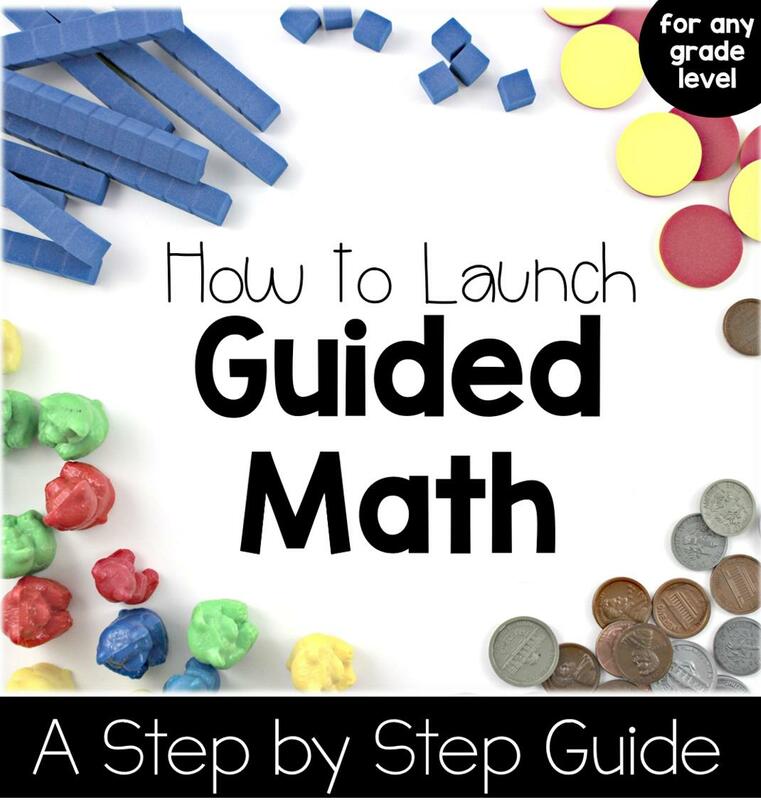 If you search guided math in the search bar on the right side of my blog, it should find it. 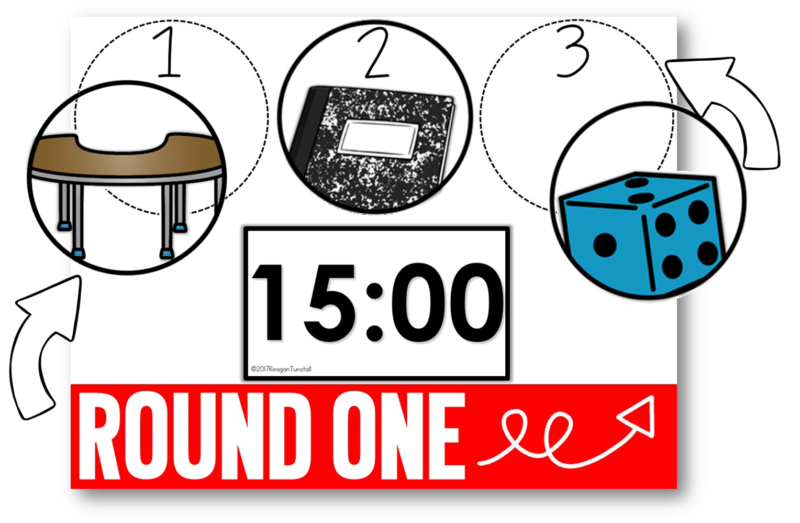 I’m getting ready to start using your STACK timers in my classroom. (LOVE the timers in the slides!) 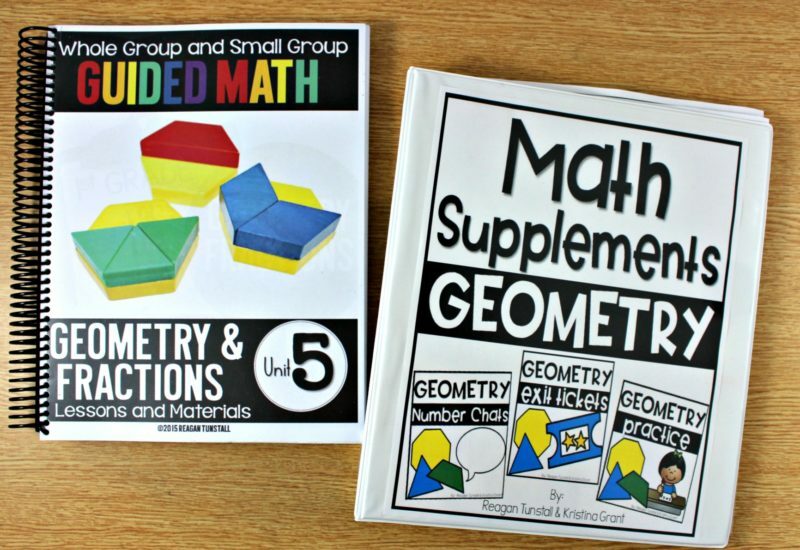 I’m wondering how you display the students’ math groups. 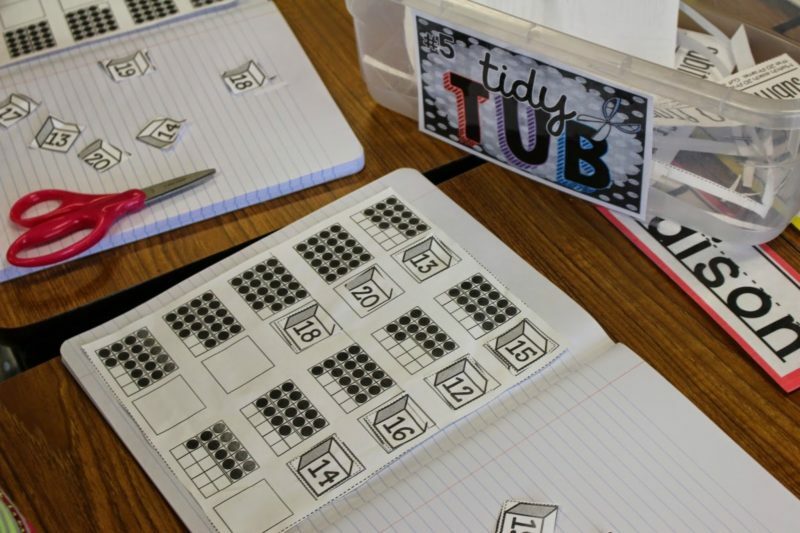 Do you display a list of names & group numbers in your classroom? Thank you for sharing this website. I want to try your strategy in my 8th grade math class and hopefully I can do this. I’m a first year teacher and I’ve begun implementing this into my math block. My students LOVE it! One thing that I’ve found that I struggle with is the timing. My students are either running out of time to complete the activity or they have too much time. 2) they finish before the time is up?